The Humboldt squid Dosidicus gigas has a short life span, and environmental variability plays a significant role in regulating its population dynamics and distribution. 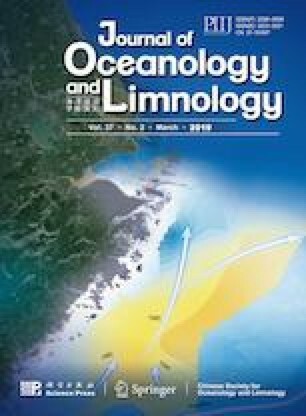 An analysis of 1 096 samples of D. gigas collected by the Chinese commercial fishing vessels during 2013, 2014, and 2016 off the Peruvian Exclusive Economic Zone, was conducted to evaluate the impacts of El Niño events on the somatic condition of D. gigas. This study indicates that the slopes of all beak variables in relation to ML for females were greater than those of males during 2013, 2014, and 2016, and slopes of the upper crest length and the lower rostrum length significantly differed between females and males in 2013 ( P <0.05). Variation in the slopes for beak variables among years was studied; no significant difference was observed (ANCOVA, P >0.05). The Fulton’s condition coefficients ( K ) of females and males in 2013 and 2014 were significantly greater than those in 2016 ( P < 0.01). The K values of females were greater than those of males in 2013, 2014, and 2016, and K values significantly differed between females and males in 2013. In normal years, the chlorophyll a (Chl a ) concentration showed an N-shaped variability from January to December. However, in the El Niño period, it tended to weaken the upwelling coupled with warm and low Chl a concentration waters. We suggest that the poor somatic condition of D. gigas during the El Niño year was resulted from the low Chl a concentration in the waters, and the abundance of D. gigas would decrease due to the unfavourable environment and the lack of prey items in the El Niño year. The data analysis and paper writing were done mainly when the senior author studied in Dr. CHEN Yong’s lab in the School of Marine Sciences, the University of Maine, which is supported by Shanghai Ocean University and the University of Maine. We thank XING Lei (Ocean University of China) for statistical consultancy and advice on the figures.